Can You Find Your Access Risks in NetSuite? In Fastpath Assure, the Segregation of Duties (SoD) module reviews NetSuite user access reporting existing risks in your environment. Building a strong segregation of duties rule set can be a daunting task. Recognizing all the potential conflicts that exist in NetSuite can be a time-consuming project. That's why Fastpath had its team of Certified Internal Auditors build our proprietary NetSuite rule set. 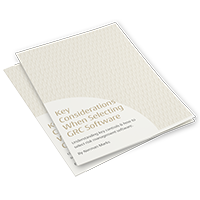 This customizable ruleset covers many conflicts as well as their inherent risk level, allowing you to run reports immediately upon installation. With the rule set and quick cloud installation, you'll be able to see near immediate return on investment. The Fastpath Assure Audit Trail module tracks changes made to NetSuite, enhancing the capacity of System Notes. Tracking the data and configuration changes in NetSuite is necessary for maintaining security. Schema changes are necessary for customizing NetSuite but can also have a major impact on data integrity. Fastpath Assure's advanced system notes reporting tool, Audit Trail, goes beyond the native abilities of NetSuite change tracking by adding the ability for high level visibility of system changes that make identifying anomalies easier. Out-of-the-box the tool includes pre-built reports that link to detailed system changes, offering quick review when issues arise. Audit Trail is divided into two functions. Data Changes tracks key master and financial transaction data, while Snapshot allows you to monitor system configuration changes. Audit Trail makes monitoring your system quicker and easier by providing the information in an easily digestible fashion. With recordable, electronic system change sign-offs, and included report templates based on what auditors need, Fastpath makes auditing NetSuite a more efficient process. 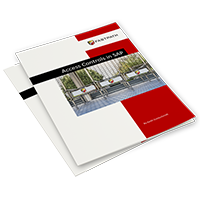 User and Emergency Access Provisioning Performed Quickly and Securely. User creation, editing and deletion are processes that seem simple, but can be time consuming and often lack the correct level of security. 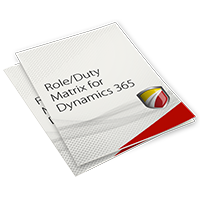 With the Identity Manager (IDM) module, requests are sent to approvers with segregation of duties conflicts noted, in an automated, digital sign off process. IDM also allows users to assign emergency access for specified periods of time. Whether for a specific task or full project, automating emergency access with effective start and end times allows you to control risk by ensuring any additional permissions are only given when necessary. Do You Know Who Has Access to Your NetSuite environment? 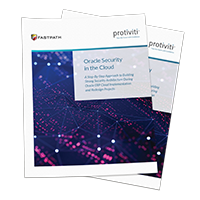 The Fastpath Assure Access Review module reports user access in NetSuite for security review and maintenance. It's essential to regularly review user access to know who can view, create, or edit critical areas of your business data. The issue many businesses face is the time it takes to collect this information manually. Utilizing Fastpath Assure, these analyses can be done on demand and even automated with report scheduling. 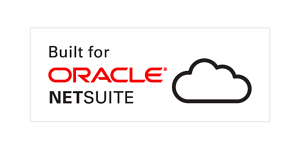 The Assure tool allows you to review access by user, company, role and object, giving you a complete view of your users and what they can do in your NetSuite environment. Designing NetSuite security or making permission changes to your roles is an issue for many users, but it doesn't have to be such a risky process. With Fastpath’s NetSuite Security Designer you can easily simulate changes to your security model and test them for segregation of duties conflicts prior to deployment. You can create different models and within them change security based on subsidiaries, users, and permissions. The analyses are done based on your current system vs. the potential model and tells the differences between the two. What Is The Cost Of Your Risk? Fastpath Assure uses NetSuite transaction data to quantify the financial exposure of segregation of duties conflicts in your NetSuite environment. Giving your risk a dollar value. This valuation helps auditors focus in on key areas according to the potential monetary impact to your organization. Fastpath can present the data by conflict or by user, and provides dynamic drill-down reporting into the transactional details. Give your auditors and executives risk reports in a language everyone understands, dollars and cents.